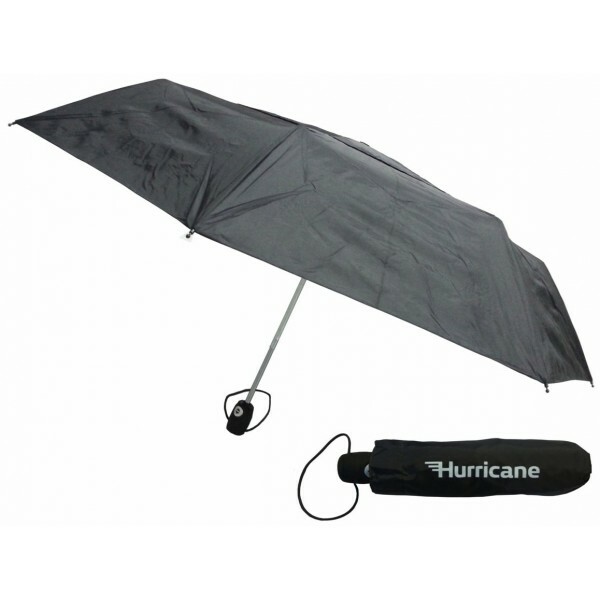 The ultimate folding umbrella, our Urban Hurricane Umbrella is packed with features. Featuring a strongly constructed three sectioned steel shaft and fibreglass ribs, the urban hurricane also features a windproof canopy with venting to help survive even the biggest storms. A rubberised handle and easy auto open and close function make this easy to handle. 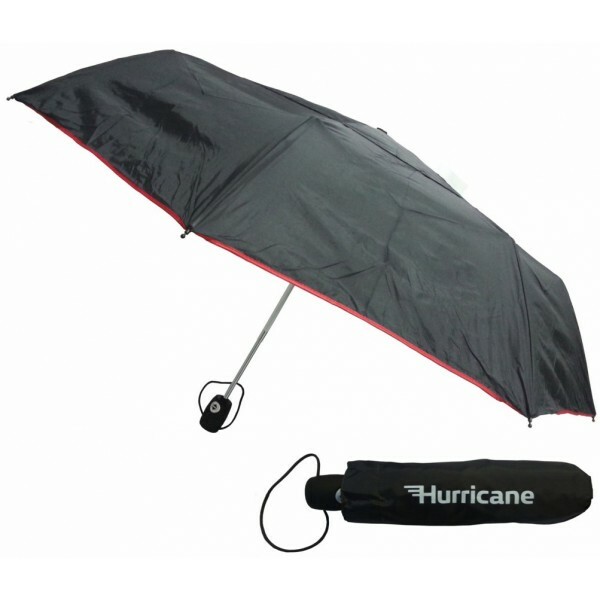 Available in the classic colours of black, navy, black with red trim, or black with blue trim, this unisex umbrella is small and portable but solidly constructed. 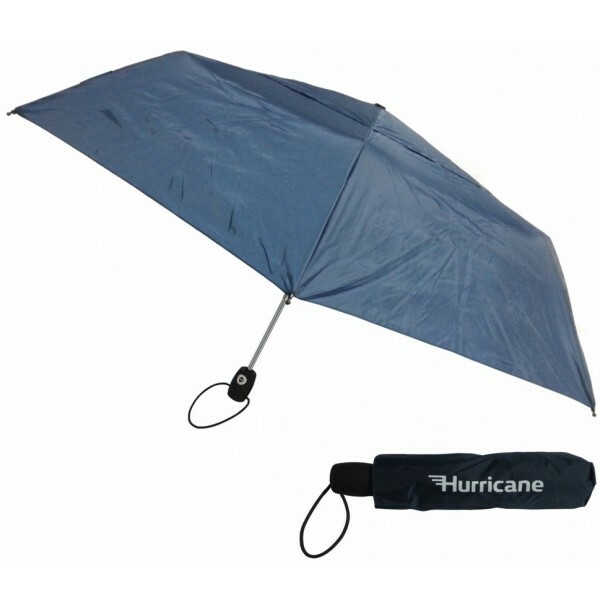 This is an umbrella that is perfect for the busy business woman or man. Small and portable, easy to use, professional in design, but with a rugged construction, this is one of our best folding umbrellas. Specifications for this umbrella are: Number of Spokes: 8 | Diameter: 100cm | Spoke Length: 57cm. 3 section steel shaft | fibreglass ribs | black rubberised handle grip | vented. The price shown on our website includes your logo or graphic emblazoned on 1 panel of the umbrella with a single colour print using screen printing which is branded on an area that measures 200mm x 100mm. 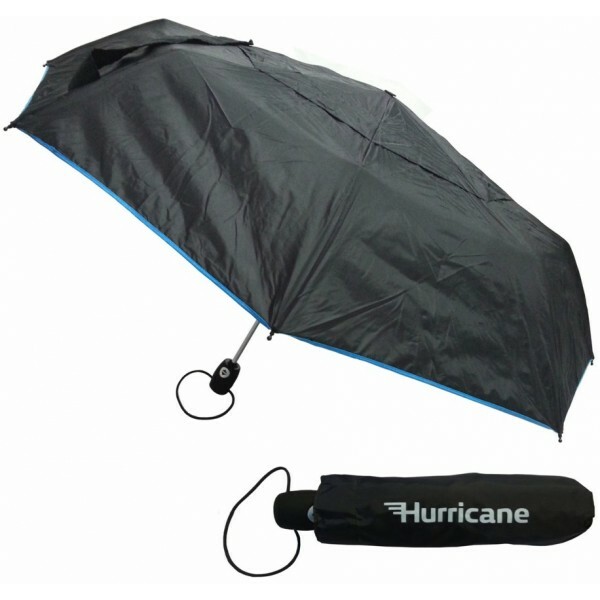 The Personalised Metropolis Umbrella can also be branded with multiple colour prints on multiple locations. Alternatively you can also have your graphics branded with a Digital Print in full colour for a small additional charge. For pricing please follow the link or ask us for a quote.